A Pakistani court has brought five charges of treason against Pervez Musharraf. Former Pakistani President and Chief of Army Staff General Pervez Musharraf has officially been charged with treason by a court in Pakistan – he is the first former army chief of Pakistan to face the charge. The news that Musharraf would be tried for treason emerged in November 2013 when current Pakistani Prime Minister Nawaz Sharif’s government announced an intention to take action against him for his unconstitutional behavior during his tenure as President of Pakistan. Since then, Musharraf’s trial and formal indictment have been delayed due to health problems on his part and other setbacks. 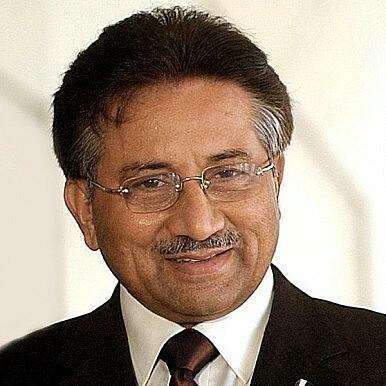 Musharraf plead not guilty to all five treason charges during what was his second appearance in court. “I prefer death to surrender,” he allegedly told the court in Islamabad. According to The Guardian, most experts see Musharraf’s legal defense as an uphill battle – he will not have an easy time defending himself. If he is found guilty, Musharraf could be sentenced to death. Should Pakistan actually sentence Musharraf to death, the result could be destabilizing – the military in particular continues to have several in its ranks who were close to Musharraf and continue to support him. “I am being called a traitor, I have been chief of army staff for nine years and I have served this army for 45 years,” Musharraf exclaimed. “I have fought two wars and it is treason?” Musharraf’s charges do not relate to his coup or anything related to Pakistan’s use of the military in conflict – the charge is based on his actions towards the end of his tenure when he declared emergency rule and removed Pakistani judges. Musharraf insists he acted within the confines of the constitution. Ever since the intention to pursue a treason charge against Musharraf was announced, observers have expected the case to become a landmark step in realigning the relationship between Pakistan’s civilian government and its military. Nawaz Sharif’s ascension to power in 2013 marked the first time Pakistan has seen the transfer of power from one civilian government to another. Pakistan’s traditionally powerful military has generally allowed civilian governments to operate within a carefully prescribed circle, but the progress of the Musharraf case demonstrates a change in that traditional state of affairs. Musharraf continues to have several supporters within the Pakistani military establishment (which has changed ever since General Ashfaq Parvez Kayani left in November 2013). Musharraf’s case also marks the first time Pakistan’s civilian government has put a top military leader on trial. Underlying the case are personal tensions between Musharraf and Sharif. Musharraf overthrew Sharif’s democratically elected government in 1999 in a bloodless coup and the treason charge is partly motivated by a desire for revenge by Sharif and his supporters.